In brief: Corsair has released a new line of NVMe solid-state drives that offer excellent performance and at an attractive price point: the Force Series MP510. The company’s flagship M.2 NVMe SSD lineup follows last years MP500 SSDs. We gave 2017's 480GB model a 75 in our review. Despite offering all-round great performance, its price made it bad value next to Samsung’s 960 Pro/Evo. While the MP500 series is powered by the PS5007-E7 Phison controller, the successors use the new E12 controller. There’s also a move from planar MLC NAND to Toshiba's 64-layer 3D TLC NAND. Corsair says the new drives can reach up to 3,480MB/s of sequential read speeds and up to 3000MB/s of sequential write performance. This makes it the company’s fastest SSD yet, beating the MP500’s 3,000MB/s sequential reads and 2300MB/s sequential writes. The MP510 drives’ performance figures match Samsung’s 970 EVO SSDs but offer better value through Corsair’s lower prices. The new line is available in 240GB ($65/27c per GB), 480GB ($124/26c per GB), 960GB ($235/25c per GB), and 1.92TB capacities. Samsung’s 1TB 970 Pro, for comparison, sells at around $278. “Utilizing the ultra high-speed NVMe PCIe Gen3 x4 M.2 interface for maximum bandwidth, the MP510 leaves traditional SATA 6Gbps and even previous generation M.2 SSDs in the dust. 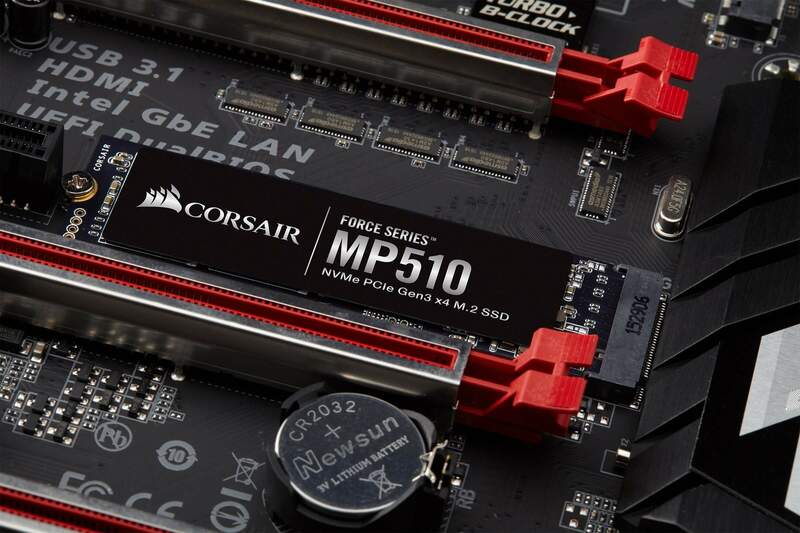 Loading everything from large video and image files to games, applications or the operating system faster than ever before, the MP510 supercharges your system’s performance, whatever you’re doing,” writes Corsair. The Force Series MP510 line is available now and all drives come with a five-year warranty. 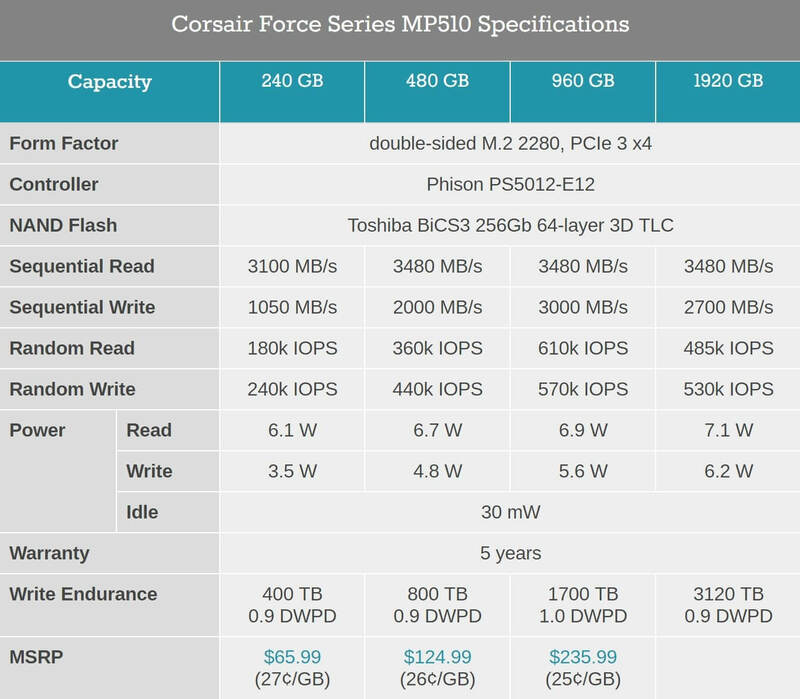 Check out the full specs in the table below, courtesy of Anandtech.